1. Create a new project, add 3 new forms; can drop some components on each. Save and close the project; open any other when closing. Example: ct-test12-a.zip attached. 2. Reopen the project; remove units 3 and 4. Save and close the project. Example: ct-test12-b.zip attached. 3. Reopen the project, add from filesystem unit4.pas. Close the project again. Open any other. 5. I found that in file projecttest.ctps units 3 and 4 are not deleted for units list. Deleting the two and adjusting count accordingly adding unit4 works properly. Last edit: 3 weeks 3 days ago by Sternas Stefanos. The latest Lab version: LAB CodeTyphon ver 6.80 Revision 006745 BETA 2 just installed. Not sure, however, if the same happens with previous versions; I think that the answer is yes, but cannot check now. Here is another small problem that I found during my tests. Tested with Typhon32 and Typhon64. It looks like the dialog to open the example folder via the 'Project Wizard' dialog is not working properly. 4. A short flickering is all you get. 3 weeks 15 hours ago	- 3 weeks 15 hours ago	#13289 by Matis A. Last edit: 3 weeks 15 hours ago by Matis A..
A change of the build mode via the project options is not preserved over to the next codetyphon session with the same project. Additionally the ICON's in the run options for 'Build' and 'Compile many modes ...' are the same (see pic 'Run_Options.png'). In my opinion the project options should be saved to the next CT session and the ICON for 'Compile many modes ...' should be changed. If you select the compiler options via 'run -> 'Compile many modes:' you can activate all available options (see pic 'Avail_project_build_modes.PNG'). I think this should also be changed to switch from one mode to another mode so that only one option is activated for the current active project session. Last edit: 2 weeks 3 days ago by Daniel Jaeger. 2 weeks 3 days ago	#13291 by Matis A.
and it runs under Win7 32/64 without any problems. Last edit: 5 days 9 hours ago by Klaus Riesterer. 1. Adding and removing units to/from project now works properly. Thank you. 2. Regarding the post by Daniel Jaeger about example projects in the Project Wizard, I found that I can get the list but not select any project there. 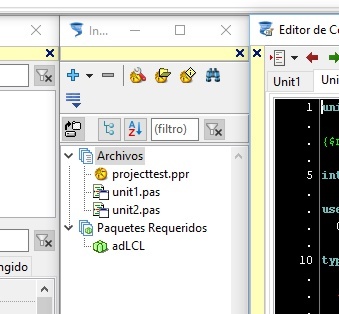 To be clear, when the project wizard opens and the Example Projects button is clicked (see attached figure, sorry it is in Spanish), one cannot do nothing with this window, clicking on it gets a flickering of the project wizard in windows and just nothing under linux. If the project wizard is dismissed (click on the X at eh top right) CT closes at once. But if any project is loaded from the project wizard, the Exampleproject window remains open and one can load a project form there. It looks like the project wizard is modal but the example projects window is not. 3. About FpDebug dwarf debugger, this is not a bug but a question: when I first build a project with this debugger, a dialogue pops up asking options (second attachment). 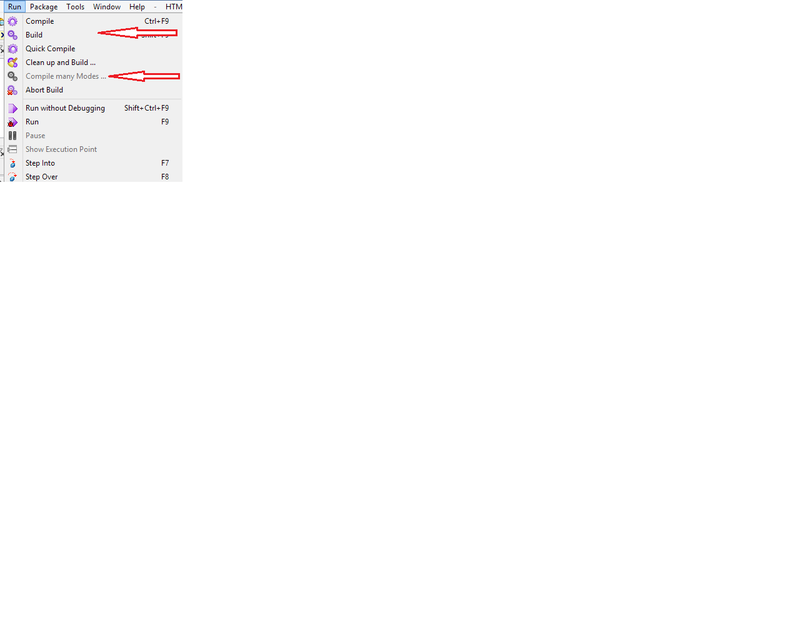 But I do not see after selecting something there if and how the option can be changed.